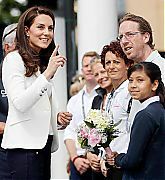 June 10, 2014 – The Duchess Of Cambridge Visits The National Maritime Museum – Catherine, Duchess of Cambridge attends the Ben Ainslie Racing America’s Cup Launch Event at the National Maritime Museum in Greenwich in London, England. 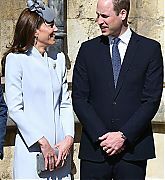 Catherine enjoyed breakfast and met with supporters, crew and boat designers and also viewed the America’s Cup class boat at the museum. 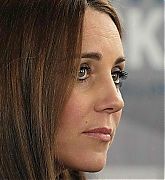 February 12, 2015 – The Duchess Of Cambridge Visits Portsmouth – Catherine, Duchess of Cambridge visits the headquarters of Ben Ainslie Racing (BAR) in Portsmouth Old Town in Portsmouth, England. 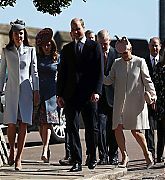 During her visit Catherine put her artistic talents to use when she added her own contribution to a mural painted by local schoolchildren for the trust. 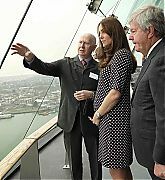 She also attended a reception at the Spinnaker Tower and viewed exhibits meant for the Visitor Centre of the Trust at the Portsmouth headquarters. 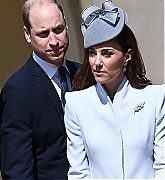 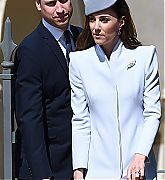 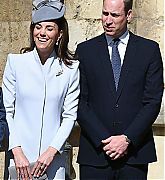 July 26, 2015 – The Duke And Duchess Of Cambridge Attend The America’s Cup World Series – Catherine, Duchess of Cambridge, accompanied by Prince William, Duke of Cambridge attended the America’s Cup World Series in Portsmouth, England. 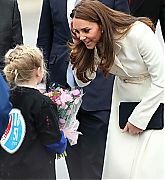 The pair met with skippers and their crews and enjoyed a tours team areas at Portsmouth Naval Base. 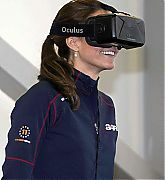 The Duchess also tried her hand at the sailing simulation before presenting awards to the Land Rover BAR Team. 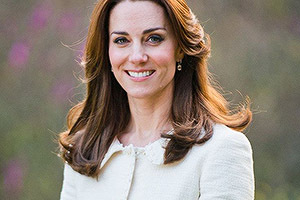 May 20, 2016 – The Duchess Of Cambridge Visits Land Rover BAR And The 1851 Trust – Catherine, Duchess of Cambridge officially opened the new ‘Tech Deck’ Education Centre during her visit to the base in Portsmouth, England. 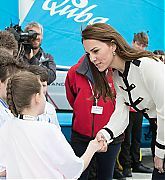 Catherine met students who were participating in workshops and other activities before taking the helm during a training circuit on the catamaran at getting up to speeds of 40 miles per hour. 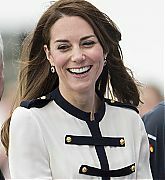 July 24, 2016 – Duke And Duchess Of Cambridge At America’s Cup World Series – Catherine, Duchess of Cambridge and Prince William, Duke of Cambridge attended the America’s Cup World Series at the Race Village in Portsmouth, England to watch three races on the Solent with teams from the USA, France, New Zealand, Japan and Sweden. 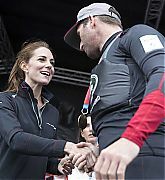 The Duchess happily presented Ben Ainslie and his team with their trophy. 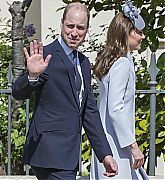 June 16, 2017 – Attending The 1851 Trust Roadshow – Catherine, Duchess of Cambridge visits the 1851 Trust roadshow at Docklands Sailing and Watersports Centre in London, England. 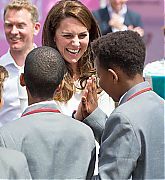 The Duchess of Cambridge joined a group of young people taking part in an educational treasure hunt where they needed to answer questions on science and technology, Land Rover BAR and the America’s Cup. 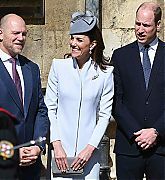 She also took part in an ocean plastics sea-bird activity, which highlights the damage caused by single use plastics and promotes sustainability.